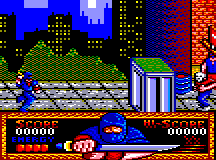 The ’80s were the decade of the ninja. 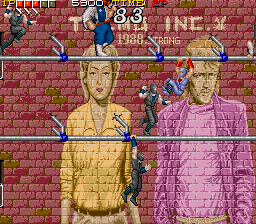 That decade saw a plethora of games and (often very cheaply produced) movies focusing on the Japanese assassins or at least sporting the word “ninja” in the title. 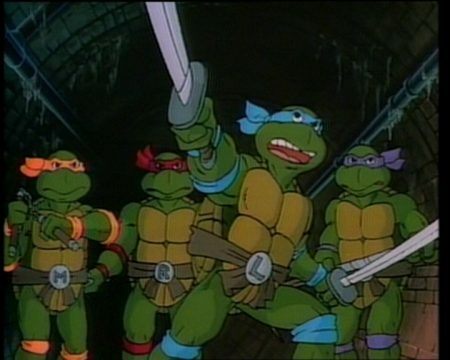 By the time the first Ninja Gaiden game saw the light of day, Sega already had a hit with Shinobi, the Teenage Mutant Ninja Turtleswere emerging from an independent comic parody to become a massive merchandise phenomenon that would spawn its own line of video games. 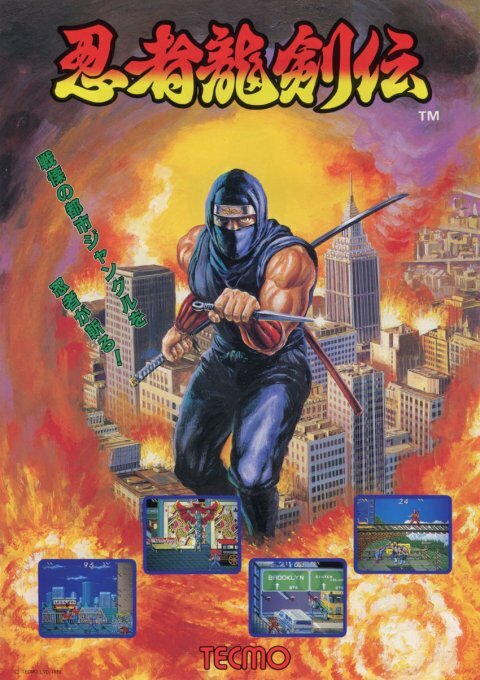 Especially in the US, there was a downright ninja craze, which resulted in movies and games that were transformed into ninja products upon localization. See the Legend of the Mystical Ninja series, whose main hero Goemon was a thief but not a ninja at all (though his sidekick Ebisumaru was) and the “Caveman Ninja” Joe & Mac, or the many campy ninja movies courtesy of the genius director Godfrey Ho, that where often cut together from a non-ninja Asian movie with scenes of Caucasian people in ninja suits spliced in. 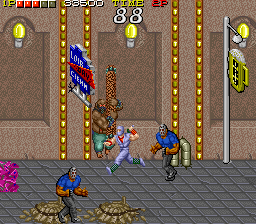 A movie title like Ninja in the U.S.A. may put a smile on the face of everyone who played the Ninja Gaiden arcade game. 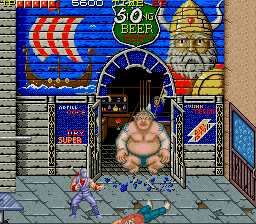 There were dozens of other ninja-themed games available in the arcades and on home consoles around the same time, like The Legend of Kage, Ninja Warriors or Ninja Jajamaru-kun. It was in this very time when Ninja Gaiden first saw the light of day. Originally, the Japanese name of the Ninja Gaiden series was Ninja Ryūkenden, meaning something like “Ninja Legend of the Dragon Sword”, but was renamed Ninja Gaiden for the American market. That is somewhat irritating, since Gaiden is Japanese for “side story”, as a lot of gamers probably know by now, but the game wasn’t spun off from anything. 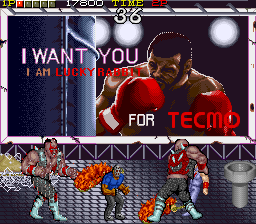 It may relate to Ryu going to the USA and thus in a way having a side story to his supposed everyday ninja adventuring in Japan, but more likely it was just a name Tecmo thought Westerners would be able to pronounce (of course they were terribly wrong, and to this day people keep pronouncing it as “gay-den”). 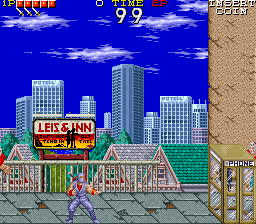 On the other hand, even the title “Ryuukenden” didn’t make too much sense in the arcade game, either. It seems “Gaiden” was at some point considered to be used in Japan as well, as Chris Covell unearthed an old Famimaga issue from January 1988, that introduces it by that name – whereas the Nintendo Fun Club News first called the game “Dragon Ninja” as a tentative English title. In Europe, however, there used to be a problem with the violent connotations that the word “ninja” brought with it. Even the Teenage Mutant Ninja Turtles were renamed to Teenage Mutant Hero Turtles, where often scenes sporting evil ninja weapons like nunchuks in action got edited out. It seems the term wasn’t outright banned – after all, The Last Ninja was sneaking around in everyone’s Commodore 64 – but frowned upon by the general public and thus wisely avoided by marketers. 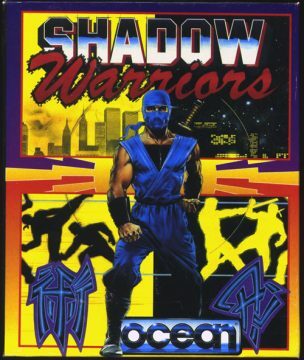 So Ninja Gaiden became Shadow Warriors for the European market (not to be confused with 3D Realms’ FPS Shadow Warrior), and for some cover images Ryu had to take off his face mask. The games themselves, however, remained identical to their overseas counterparts. 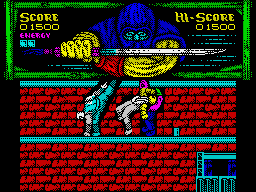 Among the video game fans of today, Ninja Gaiden is certainly most famous for Tomonobu Itagaki’s re-invention of the series. With its combination of pompous presentation and the revival of lost video game traditions of pre-casual gaming times, it has won numerous worshippers. At the same time, mainly due to its unforgiving difficulty level, there are almost as many haters for the game as for Itagaki himself, who is often presented as an outspoken, if sometimes arrogant, rock star wannabe. But that was just the tip of a newly emerging iceberg. 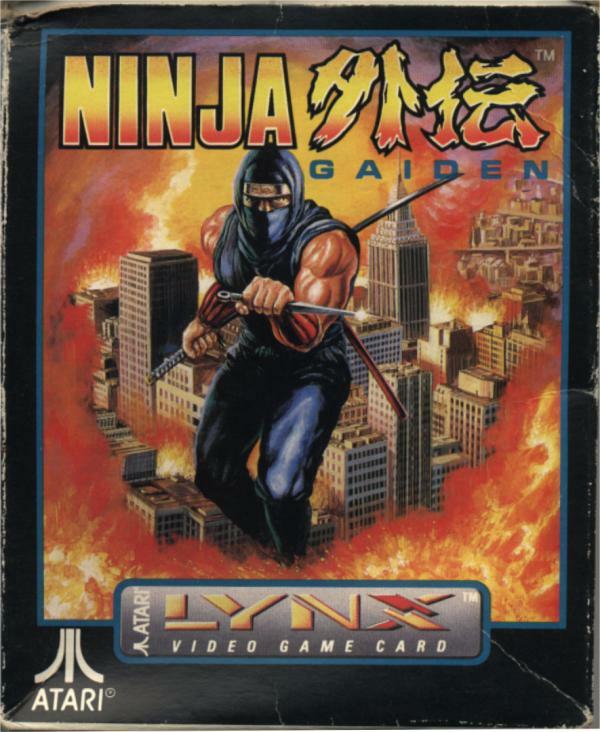 Remakes for old brands could be seen as a trademark for the contemporaneous console generation, and so everyone who actually beat the game (at least in the initial Xbox version) was given access to a part of Ninja Gaiden‘s history and thus a few of the best 8-bit action games ever, which many still consider superior to their new sibling. The new series plodded on, but in 2008 Itagaki and Tecmo had a falling out, which led to him and several other key staff members leaving the company to form Valhalla Game Studio. Under the supervision of new Team Ninja lead Yosuke Hayashi, Ninja Gaiden has suffered a bit, seemingly growing weaker with each episode. The last that was seen of the franchise was the baffingly tone-deaf spin-off Yaiba: Ninja Gaiden Z, outsourced to Lara Croft inventor Toby Gard’s Spark Unlimited. Ninja Gaiden Sigma 2 Official Japanese Homepage. Ninja Gaiden 2 Official Japanese Homepage. Ninja Gaiden DS Official Japanese Homepage. Ninja Gaiden Sigma Official Japanese Homepage. 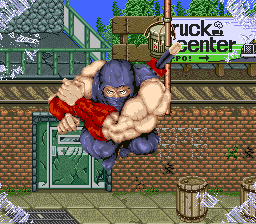 Screw Attack – Ninja Gaiden Review Screw Attack’s take on the first NES game. Seanbaby – Ninja Gaiden Review How Seanbaby and his co-reviewers see it. 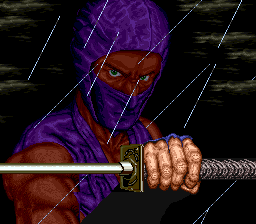 Ninja Gaiden Hayabusa Sendangan Choutokkyuu Japanese fan page on the older Tecmo games. Ninja Ryūkenden 2 and 3 Japanese TV commercials at Retrojunk. 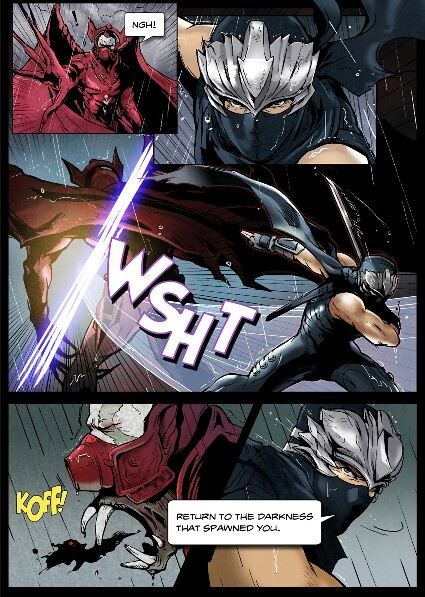 Video Footage of Ninja Gaiden X A walkthrough video to the Japan-only mobile game. About Worlds of Power On the children’s book series that also spawned a Ninja Gaiden novel. gdri Blog with valuable information concerning actual developers of outsourced game projects. Disgruntled Designer Scans from old Japanese magazines by Chris Covell. Team Xbox – Ninja Gaiden: Tomonobu Itagaki Interview by César A. Berardini from 2003 (Internet Archive). Game Informer – Yosuke Hayashi Talks Ninja Gaiden Sigma by Billy Berghammer (Internet Archive). 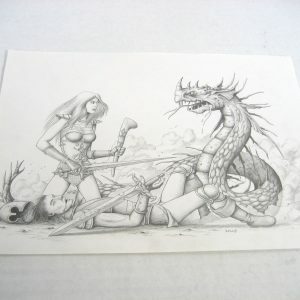 Trigames.net – Q and A with Yosuke Hayashi, Director of Ninja Gaiden: Dragon Sword by MrCHUPON (Internet Archive). Video Games Daily – Tomonobu Itagaki Interview June 2008 by Adam Doree. Team Xbox – Ninja Gaiden II Interview: Tecmo’s Tomonobu Itagaki by Andy Eddy (Internet Archive). VideoGamer.com – Ninja Gaiden 2 Preview interview with Tomonobu Itagaki by Wesley Yin-Poole. CVG – Tomonobu Itagaki Interview by Gavin Ogden. Polygon – Ninja Gaiden Developer Reunion Featuring Hideo Yoshizawa, Masato Kato and composer Keiji Yamagishi, by Matt Leone. 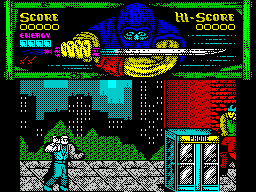 When the first Ninja Gaiden games came out in 1988, a ninja was the absolute coolest thing to be. 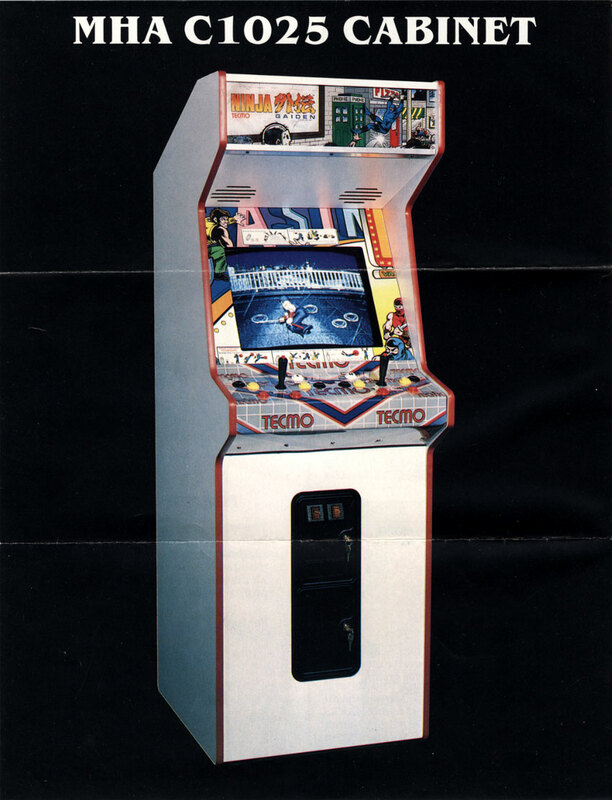 It’s no surprise that it started in the arcade, like all cool old video game series (although it is debated whether the Famicom game actually came out first in Japan). 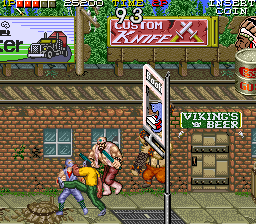 At that time, beat-em-up games had become pretty popular thanks to Double Dragon, and what else would a ninja do than to beat people up? 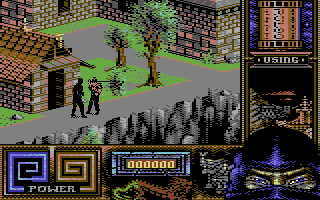 Stealth games may have been first introduced in 1981 with Castle Wolfenstein, but they still weren’t cool and/or very playable at that time. 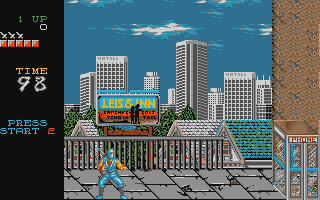 Even beat-em-ups were in their infancy, though, and there still wasn’t that much variation on Double Dragon‘s formula, which also the very first Ninja Gaiden adheres to. In that respect, it actually isn’t too bad. There’s a badass intro sequence of a ninja – or rather the ninja, Ryu Hayabusa – killing a guy in a Jason-style hockey mask. When you actually play the game, of course, it throws these guys at you in the hundreds. 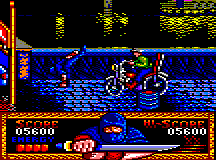 Lack of variety plagues the genre up until today, but Ninja Gaiden suffers especially greatly from it. 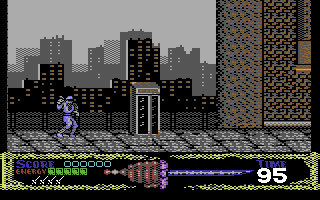 Most of the standard enemies, which are no more than seven or eight in total, are introduced in the first level. When you start fighting them, you’ll discover that you have at your disposal a standard attack combo, a cool move where you jump and flip the enemy in mid air, and a kick used while hanging from a pole. 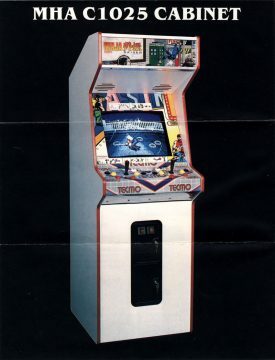 The arcade game actually had a specific button on the tip of the joystick for jumping onto these poles. Other than its archetype game Double Dragon, where you mash up your enemies with head butts, elbow checks, jump kicks, grabs and whatnot, not to mention a decent variety of weapons, Ninja Gaiden is limited to this pathetic set of three attacks, and the only weapon you’ll ever get to use is a ninja sword, which gives you exactly one new combo… and even then, that’s only available for a limited time whenever you grab the power up. Nonetheless, the game is still good to kill some time, especially when you bring a friend for cooperative play. The saving grace from boredom often are the various “traps” in the stages, that usually force you to use your climbing skills, like busy streets, lakes, or bottomless pits. 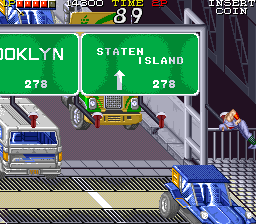 The backgrounds are fantastic, and filled with detailed billboards or graffiti art. 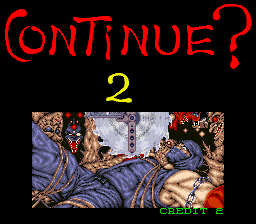 There are nice cutscenes throughout, the greatest one being Ryu’s dilemma scene on the continue screen, where he’s strapped to a slab with a buzzsaw slowly lowering towards his chest as the timer counts down. When it hits zero, the screen turns into bright red before it ends, although there’s technically no gore. There isn’t any better incentive to get you to stick in another quarter before the hero dies horribly. 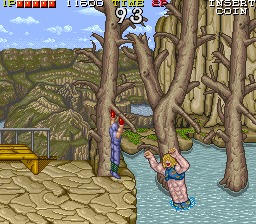 The game also sports some cool enemies, like burly guys who try to smash Ryu with a huge tree trunk(!) or the trio of small bosses with claws, who first pretend to be one single giant under a cape. 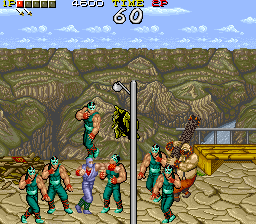 There are two huge twins in attire inspired by the wrestling tag team Legion of Doom, and have a habit of throwing Ryu towards their partner, who welcomes him with a heavy blow. They are introduced with a rip-off of “Iron Man” by Black Sabbath, which is labeled “I Am Man” on the OST. Apparently the enemies are worshippers of some apocalyptical prophecy of Nostradamus, which is why there are graven images and paintings of him around some of the stages. 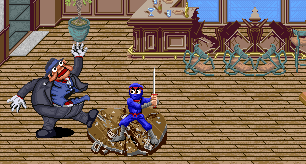 But what makes Ninja Gaiden stand out the most are the ninja maneuvers. 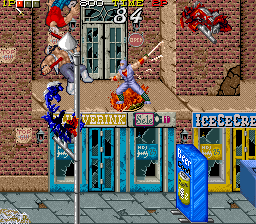 As mentioned before, Ryu has the ability to cling on poles to climb or attack enemies. On top of that, every time he runs towards a wall, he does a wall run back flip, a move that’s still good to brag about your martial arts skills, and it even can be used to escape from being cornered by enemies. And cornered you will get. Like every game that was designed to eat your quarters, it’s hard as hell and can easily get frustrating. 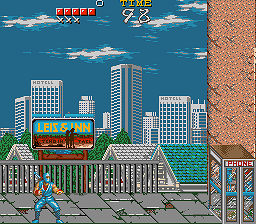 Unlike most beat-em-ups, though, which let you walk forward at your own pace, and only stop when there’s enemies to kill, Ninja Gaiden autoscrolls forward most of the time. The US and European versions are even harder, since some enemies can hurt you more easily, and don’t even dream of seeing the later levels in home ports that only give you a limited number of credits. Tecmo sold the license for European home computers to Ocean Software, who exploited it extensively, so the Amstrad CPC, ZX Spectrum, Atari ST, Commodore Amiga and C64 all saw their own versions of Shadow Warriors. The US got Ninja Gaiden for IBM PCs and later Atary Lynx. 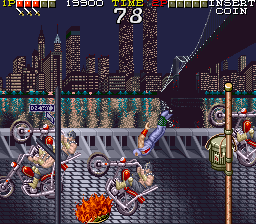 Strangely, there doesn’t seem to have existed any home port in Japan, that is not until it was included with Ninja Gaiden Black on Xbox as an unlockable bonus content, which is a straight, arcade-perfect emulation where you even have to press a button to simulate inserting a quarter. A panel from the manual/comic for the Atari Lynx version. Back in the day, though, the most faithful version was the one released on the Amiga. 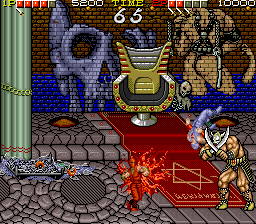 Not only was it the only port retaining cooperative play (until the emulated version in Ninja Gaiden Black, that is), it also kept most of the graphics intact, only adapting them to the limited color palette and slightly smaller sprite size for the system. 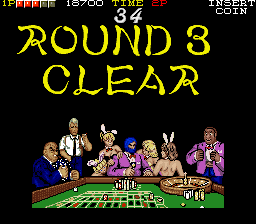 A few animations are gone, though, mainly stage entry sequences for Ryu and the bosses. 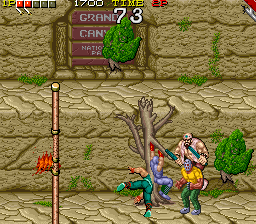 The enemies didn’t fit on two disk sides, either, so you where put up against more of the Jason lookalikes, now amounting to ridiculously high numbers. 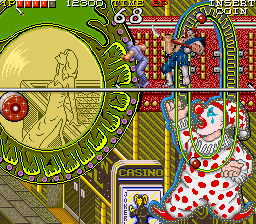 On top of that, they act more cowardly than in the arcade version, so you’ll probably experience some losses due to the time limit, at least when playing alone. The greatest problem is being limited to four credits. There are no checkpoints either, so you have to start from the beginning of a stage after losing all four lives, unless you’re in 2-player mode. Combine that with the single button limitation of the Amiga, which makes for overly complicated control schemes. If you don’t have someone at hand to play with you, you’re not likely to ever see more than the first two stages. 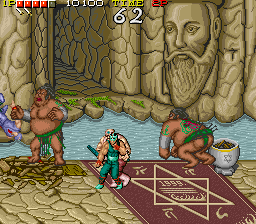 The ST Version is almost identical to the Amiga game (right down to the insane difficulty), but its different aspect ratio led to a big fat black bar on the left that housed the on-screen displays, and the ST couldn’t handle the scrolling – instead you got page-turning somewhat like in the first Zelda game, but not as smoothly done. The music sounds quite different from the ST’s sound chip, and the tracks lack some voices. Not a good start, but it’s all downhill from here. The CPC and Spectrum ports are also similar to each other, despite the rather particular hardware limitations of these two machines. 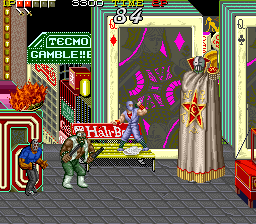 Here you’re given at least six credits, but that doesn’t help much, because the enemies are even more tenacious, and when you get surrounded by two enemies, you’re pretty much lost. Luckily, you will never get surrounded by more than two enemies, since all the other ones stand around like zombies and can’t be hit until you beat one of the currently active two. 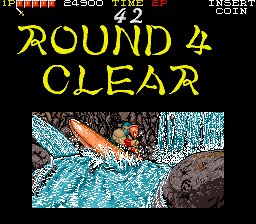 On top of that, the CPC game again has no scrolling, and neither version has any music beyond the title screen. Now it can only get better, can it? Think again, because next is the Commodore 64 port, which is really nothing but utter garbage. There’s only two enemy types, no clinging onto bars, no traps in the stages, no swords, no music, no credits, no fun, nothing. The PC version could actually be better than that, but it probably wasn’t programmed with newer machines in mind, and even after throttling it down with DOSBox, the timing is somehow messed up, and there is no way to get anywhere far before the time runs out. In 1991, the game got ported for the final time (well, at least for the next 14 years), to the Atari Lynx. Ironically, after being stripped down to handheld format, it turned out to be the most playable version of them all, due to the much fairer AI that makes it possible to play through the game even with the limited number of two credits. Sadly, it’s missing two whole stages, but on the other hand it has some extra animations that aren’t in any of the other ports. The graphics and sound are pretty decent for the hardware, too.